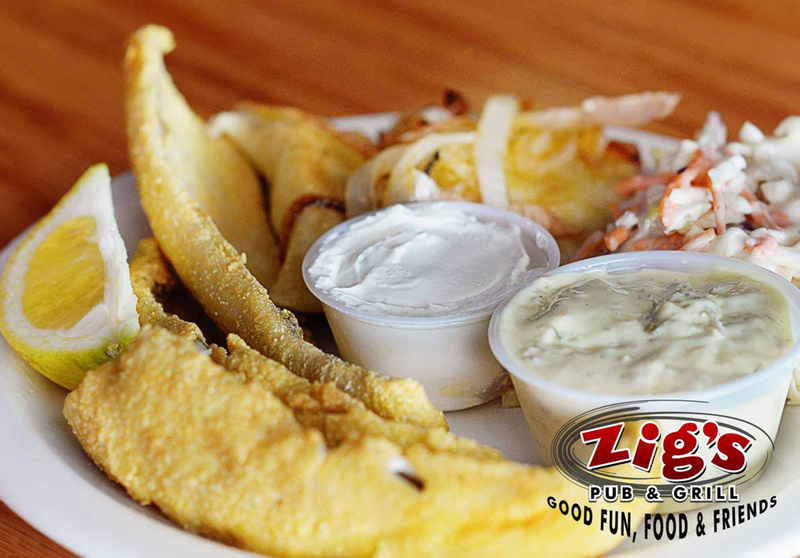 Zig's Pub & Grill in Parma, Ohio. Great Fun, Food and Friends! 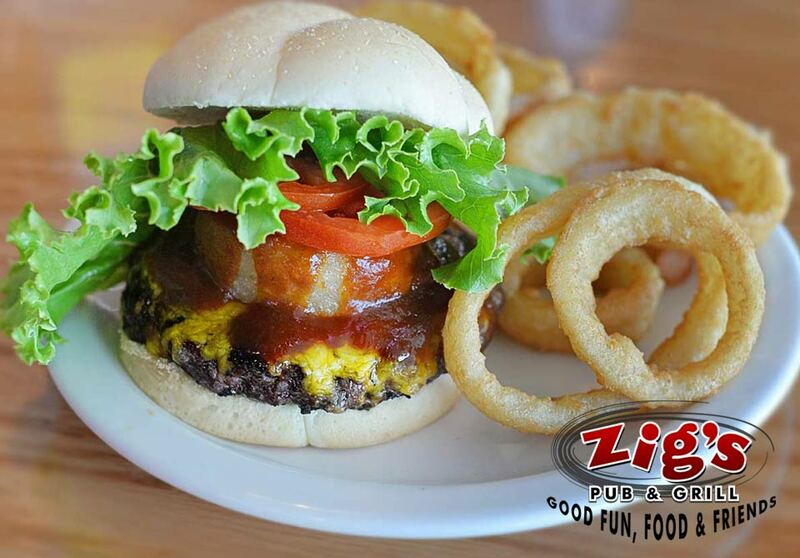 Zig’s Pub & Grill was established in 2003 in Parma, Ohio. After 10 years on Brookpark Road, we relocated to The Midtown Plaza on Snow Road in Parma. 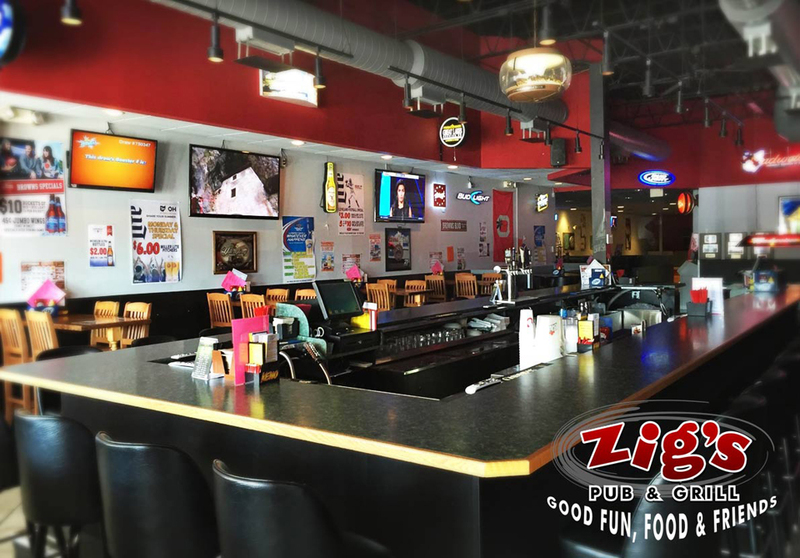 Zig’s still has the same great food and drinks, with homemade food specials and larger variety of bottle and draft beer selections. 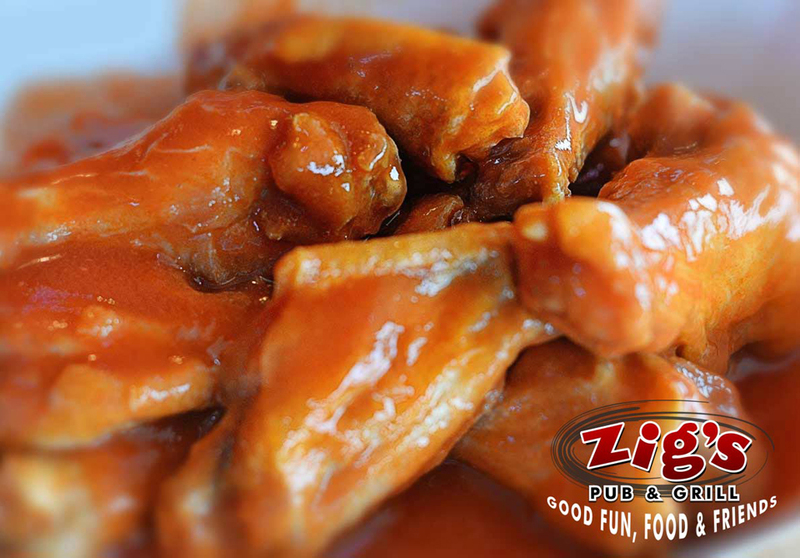 If you’re looking for a fantastic meal or a great place to watch your favorite sports team, then stop into Zig’s. You won’t be disappointed. 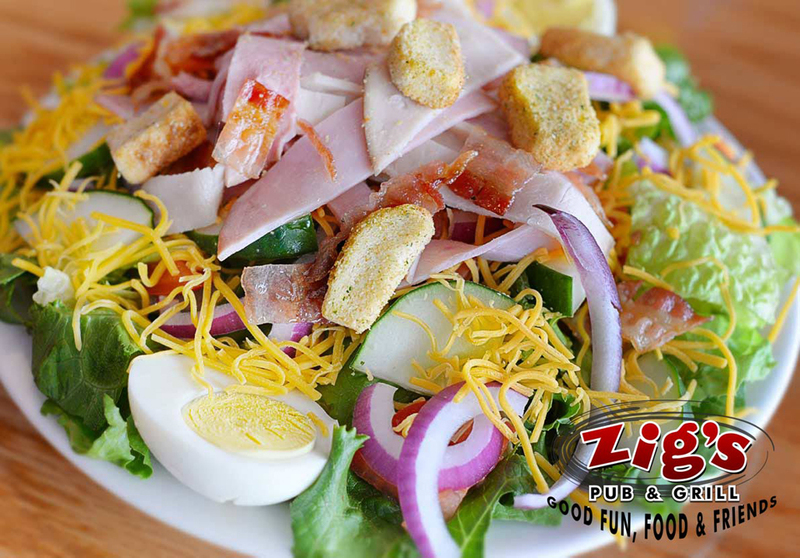 Zig’s Pub & Grill is the place for Good Fun, Food and Friends! 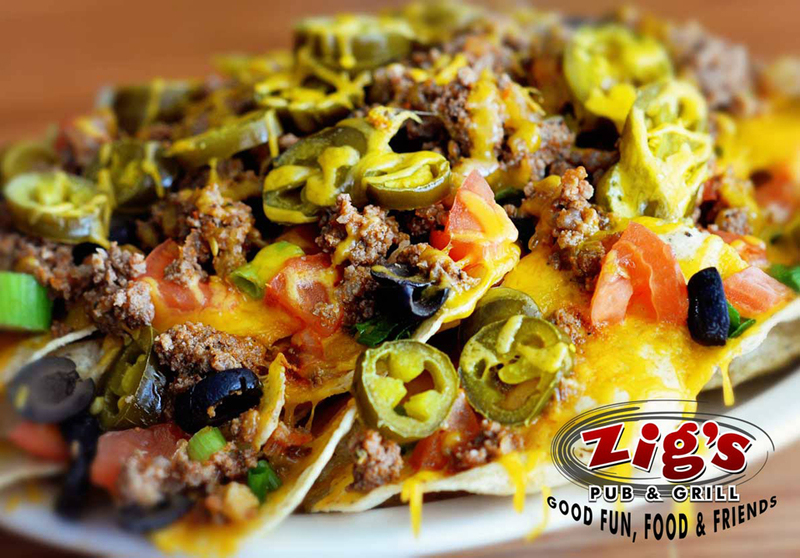 Watch All The Games Here At Zig's! 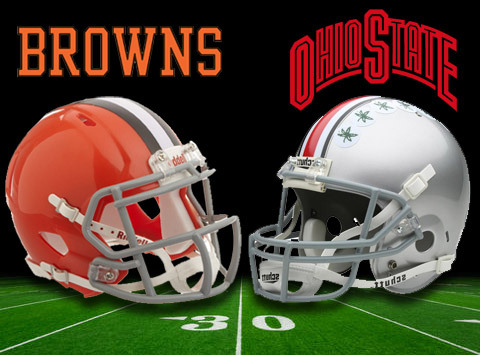 Watch all the Browns & Ohio State football games here at Zig’s Pub & Grill. We have NFL TICKET, lots of TVs & great game day specials! 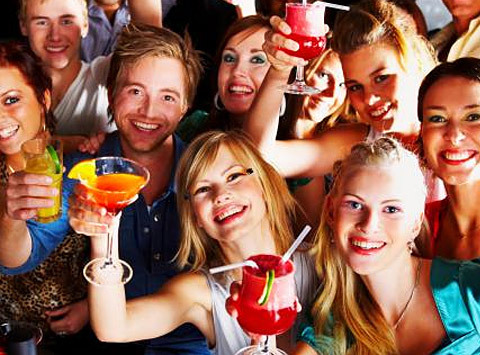 Book Your Fundraiser or Party Here! Awesome New Specials Every Month! 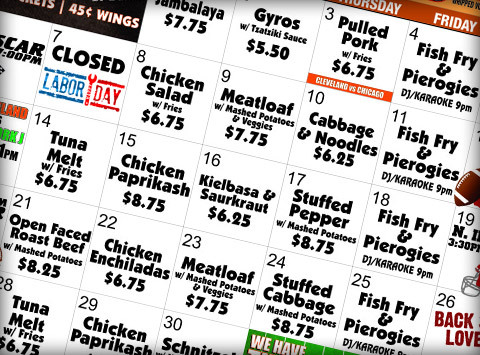 We have awesome daily food & drink specials! Click the image above to see this month’s specials and check back often. 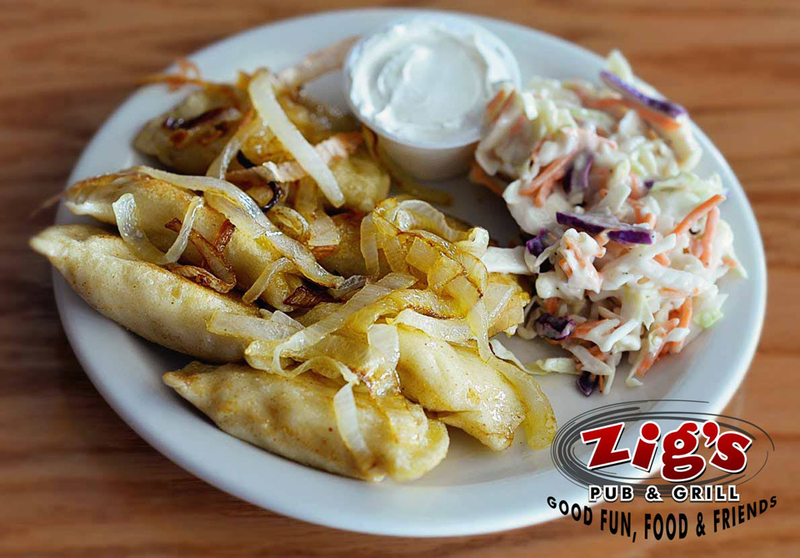 © Copyright 2015 Zig’s Pub And Grill. All rights reserved.